I was a first time homebuyer and somewhat nervous about the entire process. Mark was patient, prepared and always offered sound advice. He always had time for my questions or concerns and was extremely easy to work with. 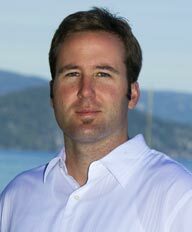 His knowledge of real estate in Lake Tahoe is exceptional. I have already referred numerous friends and colleagues to him as, from my experience, he is the best in town.